Hydroxychloroquine is used primarily for the treatment of rheumatoid arthritis and lupus erythematosis, dermatologie conditions, and various inflammatory disorders. Table 38.2. World Health Organization (WHO) definitions—causality assessment of suspected adverse reactions. • Certain: A clinical event, including laboratory test abnormality, occurring in a plausible time relationship to drug administration, and which cannot be explained by concurrent disease or other drugs or chemicals. The response to withdrawal of the drug (dechallenge) should be clinically plausible. The event must be definitive pharmacologically or phenomenologically, using a satisfactory rechallenge procedure if necessary. • Probable/Likely: A clinical event, including laboratory test abnormality, with a reasonable time sequence to administration of the drug, unlikely to be attributed to concurrent disease or other drugs or chemicals, and which follows a clinically reasonable response on withdrawal (dechallenge). Rechallenge information is not required to fulfill this definition. • Possible: A clinical event, including laboratory test abnormality, with a reasonable time sequence to administration of the drug, but which could also be explained by concurrent disease or other drugs or chemicals. 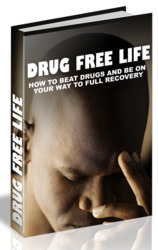 Information on drug withdrawal may be lacking or unclear. • Unlikely: A clinical event, including laboratory test abnormality, with a temporal relationship to drug administration which makes a causal relationship improbable, and in which other drugs, chemicals or underlying disease provide plausible explanations. • Conditional/Unclassified: A clinical event, including laboratory test abnormality, reported as an adverse reaction, about which more data are essential for a proper assessment or the additional data are under examination. • Unassessable/Unclassifiable: A report suggesting an adverse reaction which cannot be judged because information is insufficient or contradictory, and which cannot be supplemented or verified. Maculopathy must be bilateral and reproducible by Amsler grid and visual field testing. Transient or unilateral defects are not sufficient reasons to implicate the drug, and are not an indication to stop therapy. The goal is to find early changes, i.e. relative scotomas. Later findings include retinal changes, color vision loss, absolute scotoma or decreased vision, since even if the drug is stopped, two-thirds of these patients may continue to lose some vision and/or peripheral fields. Patients with early paracentral relative scotomas seldom advance when the drug is discontinued. • Baseline examination. Within the first 1 to 2 years after starting this drug, a complete— dilated—ophthalmic examination should be done, including some type of informed consent of possible permanent visual problems in rare instances. This baseline examination should include visual acuity, Amsler grids (with instructions for monthly home use), and color vision (preferably including the blue-yellow axis, such as the pseudo-isochromatic plates for color by American Optical Corporation). 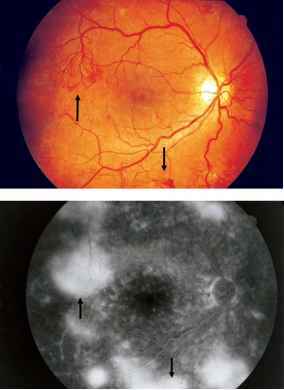 If any abnormality of the macular area is seen, it would be ideal to obtain fundus photographs. If you have any suspicion of an ocular abnormality of a progressive type, consider a baseline Humphrey 10-2 or other automated perimetry. — same as above, however need to see you every 1-2 years. — Fundus photography if any macular abnormality noted. — Consider fluorescein angiography only if suspect pigmentary changes of any cause. — If available, but not essential, in selected cases, multifocal electroretinogram (ERG). Perform same tests as above. See at least annually if dosage is less than 3.0 mg/kg of ideal body weight. See every 6 months if dosage greater than 3.0 mg/kg body weight, if short/obese or if renal and/or liver impairment. Cystic acne, psoriasis and various skin disorders. The drug competes with binding sites with retinoic acid and retinol in the retina. Isotretinoin can cause decreased dark adaptation. However, only recent data suggests the probability of rare cases of permanent night blindness (Fraunfelder et al., 2001). Therefore, the Physicians' Desk Reference (PDR) in the year 2001 will list a warning about this in the package insert. This drug can cause meibomitis, blepharitis, atrophy of the meibomian gland (in animals—complete destruction) (Mathers et al, 1991), often with increased staphylococcus disease. Any or all of these may decrease tear film break-up time and increase tear osmolality. Therefore, isotretinoin probably can cause a permanent "evaporative" form of sicca. Isotretinoin is secreted in the tears, causing an irritative conjunctivitis, superficial punctate keratitis, drug deposits in the superficial cornea, and decreased tolerance for contact lens wear. Some sicca patients are made worse, or latent sicca becomes manifest. This photosensitizer can cause or significantly aggravate existing lid disease, especially blepharitis. Other known side-effects include: acute myopia, papilledema secondary to pseudotumor cerebri and optic neuritis. Recently, isotretinoin has also been shown probably to cause reversible color vision defects. It is not practical to have all patients receive an eye examination prior to starting these agents. However, if the patient is below age 40 and has not had an eye examination in the past few years, or if above age 40 and has not had one in 1-2 years, it may be prudent to do so. This is especially true if the patient has any other ocular problems prior to starting the drug, to prevent aggravation of above conditions or have the drug unfairly blamed for latent ocular disease. Permanent night blindness, permanent sicca, and transitory loss of color vision only occur in patients on long-term, chronic therapy, and are indeed rare events. Primary Use For the management of erectile dysfunction. Ocular side-effects are uncommon, dosage dependent and thus far all have been fully reversible. Ocular side-effects are directly proportional to blood drug levels. The side-effects based on dosage start at 15 -30 minutes, and usually peak 1 hour after ingestion of drug. — informed consent advised; no data to prove it is harmful, but it theoretically could be. • Symptomatic or asymptomatic field loss, mainly bilateral concentric peripheral constriction with variable degree of visual field defects. Cases of severe tunnel vision have occurred. • Can occur anytime within 1 month to 6+ years of therapy. • Incidence unknown—from 0.5% up to 10%-20% on long-term therapy. May be dose-related. • Cause may be increased levels of gamma-aminobutyric acid (GABA) in the retina. • Visual field changes not progressive with discontinuation of the drug; however, the visual defect may persist and may be irreversible in up to 80% of cases. • Some visual changes are dramatic, with over 50% of visual field loss. • Some groups have asked for the drug to be recalled because of visual side-effects; however, in some patients this is the only drug that controls their seizures. • Visual field testing every 6 months. • Question patients regularly for visual symptoms. • If visual symptoms reported, might be drug-related—repeat fields. • If field reproducible, access risk-benefit ratio for stopping the drug. • If the drug is discontinued, it must be tapered over a 2-4 week period. Capecitabine is a new, widely used anticancer agent (metastatic breast, colon and many solid tumors). It is metabolized in a three-step process to the active agent, 5-fluorouracil, a known ocular irritant which is secreted in tears. • 10% have ocular irritation, probably secondary to the drug or its byproducts being present in tears. • Superficial punctate keratitis may be present, especially inferonasally. • In patients on high dosages, and probably if sicca is present, can cause white granular deep epithelial or subepithelial deposits. • Deposits may be associated with significant ocular pain and decreased vision to 20/60. • Complete clearing of superficial punctate keratitis (SPK) and corneal deposits occurs within 3 to 6+ weeks after the drug is discontinued. For use in asthmatic, allergic and chronic lung diseases. A report in the Journal of the American Medical Association (Garbe et al., 1998) states that inhaled corticosteroids at high doses for over 3 years had a three-fold increased risk of cataract extraction compared to a control group. • Inhaled induced steroid-induced glaucoma is well documented. • Statistical analysis based on 416 patients using inhaled steroids who had not used systemic steroids for at least 5 years shows increased incidence of cataract surgery. • This is first report to investigate risk according to daily dose of inhaled steroids and duration of use (> 1 mg of beclomethasone or budesonide per day). • Systemic steroid use after only one year duration causes a statistically significant increase in the incidence of cataract surgery in the elderly in this same study. • As study points out, while there are many variables in this research, this indirect evidence suggests that we may have markedly underestimated the potential of steroids as a catar-actogenic co-factor in the elderly. For metastatic breast cancer, pancreatic cancer and malignant melanoma. Beginning to be used for long-term therapy as a prophylaxis in patients with a strong family history of breast cancer. Expect to see more patients on long-term tamox-ifen for follow-up ocular examinations. There is minimal data on long-term exposure (4-5+ years) with a drug with documented significant ocular side-effects, so the data are preliminary. 1. Baseline ophthalmic examination within the first year of starting tamoxifen. This should include slit lamp biomicroscopy of the anterior and posterior segments in combination with an indirect ophthalmoscope or contact lens. Baseline color vision testing is important. 2. In keeping with the American Academy of Ophthalmology's current recommendations, in normal adults, do a complete eye examination at least every 2 years. 3. More frequent examinations are required if ocular symptoms occur. 4. The discovery of a limited number of intra-retinal crystals in the absence of macular edema or visual impairment does not seem to warrant discontinuation of the drug. 5. Consultation with the oncologist is essential if significant ocular findings occur. 6. Presence of age-related maculopathy is not a contraindication to the use of tamoxifen. However, informed consent may be advisable in our litigious society. 7. Presence of posterior subcapsular cataracts is not an indication to stop the drug since the condition usually progresses even if the drug is discontinued. 8. Significant color loss may be a valid reason to consider discontinuing the drug. Gorin et al. recommend considering stopping the drug for 3 months (in patients on prophylactic therapy), and retest. If the color vision returns to normal, restart the drug and retest in 3 months. If, at any time, there is no recovery after stopping the drug, or continued progression, then one may need to consult the oncologist and re-evaluate the risk-benefit. • The incidence of ocular toxicity reported in the literature is from 1.5% to 12%; however, incidence requiring stopping the drug due to an ocular complication is less than 1%. • Retinal crystals, per se, are not an indication to stop the drug. • Retinal changes can occur even at 20 mg dosage levels. • Optic neuritis has been reported at a total dosage of only 2-3 grams. Primarily used in the treatment of various cardiac arrhythmias. An important recent finding is that of amiodar-one-induced optic neuropathy. Since it may be impossible to distinguish non-arteritic anterior ischemic optic neuropathy (NAION) from amiodarone optic neuropathy in many cases, a neuro-ophthalmologist consult may be necessary. Many of these patients may already have a compromised optic nerve due to vascular disease, and the amiodarone deposition in the axons further impedes neural function, causing vision loss. • The cause of amiodarone neuropathy is unknown, but may be due to selective accumulation of intracytoplasmic or its by-product inclusions (primary lipidosis) in optic nerve axons which may mechanically or biochemically decrease axoplasmic flow. • Resultant optic nerve head edema may persist as long as transport is inhibited, i.e. as long as several months following discontinuation of amiodarone, which has up to a 100-day halflife, while with NAION, edema resolves much more rapidly. • No reported cases of amiodarone neuropathy causing no light perception (NLP). • The degree of amiodarone neuropathy may not be equal in each eye for a few months, but usually will be if the drug is continued. • Stopping the drug, in consultation with the cardiologist, at the first signs of optic nerve involvement must be considered unless very confident of the diagnosis of NAION.